A granny square is a beautiful thing. Simple. Yet beautiful in its simplicity. 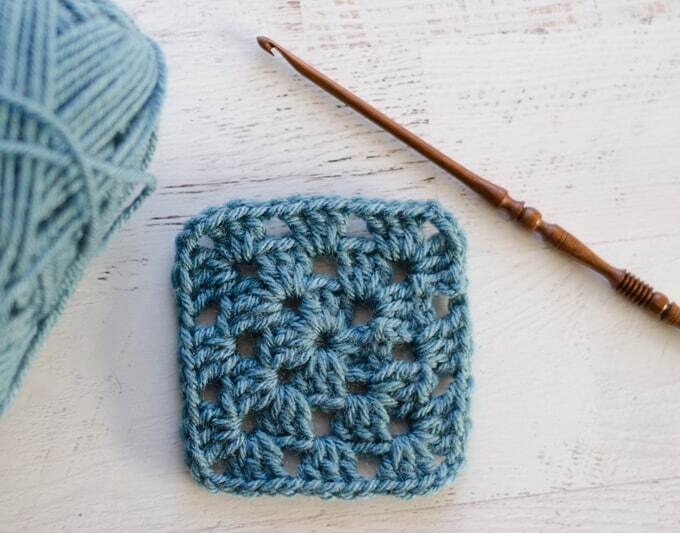 I suppose I have a fondness for Granny Squares since a Granny Square was my first real project – a blanket. You can even see that little gem in this post here. You’ll recognize the 1970’s colors–and I’m not talking about the cool ones that are back in style–I’m talking about the colors that really need to stay right there in the 1970’s. I suppose you could say that the granny square is timeless. 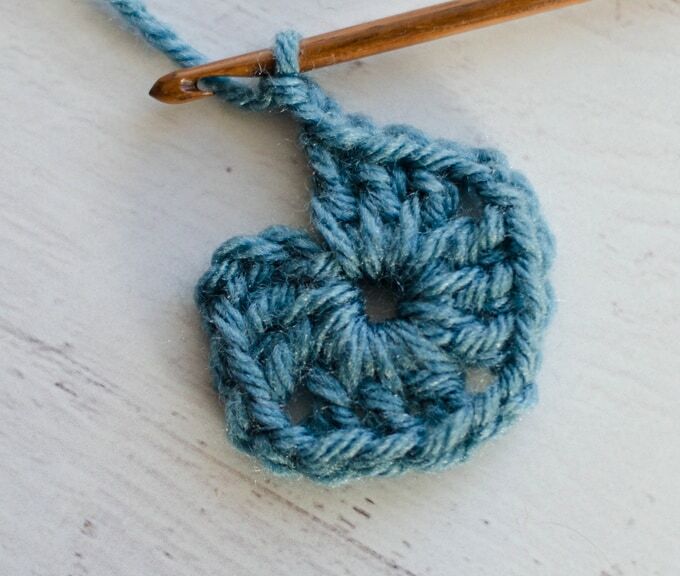 And today we’re going to learn how to crochet a granny square. Grab some yarn and a crochet hook and let’s get this party started! To start, chain 5 (or 6) and join with a slip stitch. R1: Chain 3 (counts as 1st dc). In the loop work 2dc, ch-2, 3dc, ch-2, 3dc, ch-2, 3dc, ch-2, sl st to top of starting ch 3. R2: Slip stitch to next space. Ch 3, 2 dc, ch-2, 3 dc (1st corner made), *ch-1, [3dc, ch-2, 3dc] in next corner*, repeat * to * 2 more times. Ch 1. Join with a sl st to the top of the 1st ch. R3: Sl st to next space, [ch3, 2dc, ch2, 3 dc] in space for corner, *ch1, 3 dc in next space, ch1, in next corner space work 3dc, ch2, 3dc*, repeat * to * twice, ch1, 3dc, ch1, join to top of starting ch3. To work additional rounds, sl st to next space. In corners work [3dc, ch 2, 3dc]. In spaces on sides work 3dc. Work a ch1 in between the dc clusters on the sides. 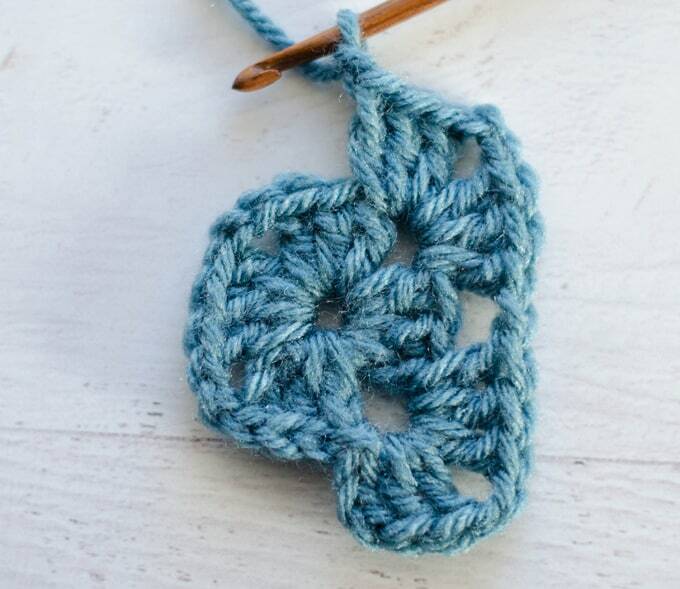 And that, my friends, is how to crochet a granny square! I’d love to see your granny squares on Instagram. Just tag me Instagram @crochet365knitttoo. 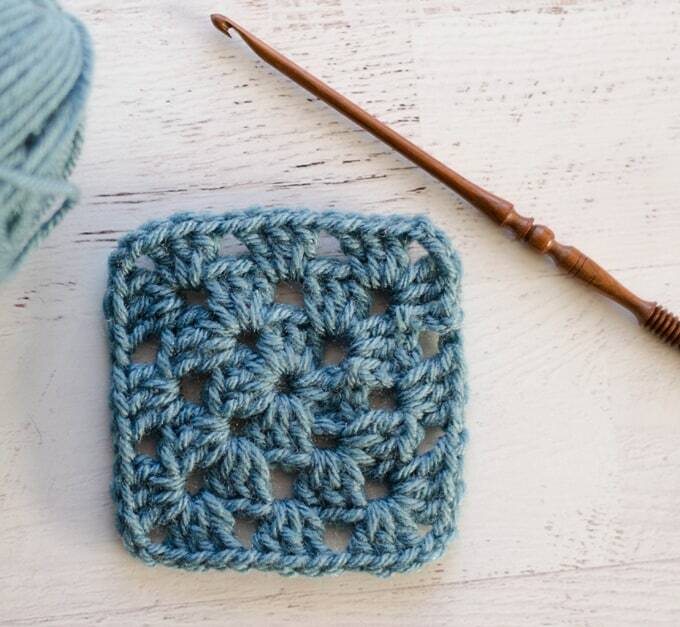 What does a single granny square in your happily ever after afghan measure? Hi, love your work. Can I ask what is the make of your crochet hook and where did you get it? I purchased the wooden hook from a small town yarn shop that was going out of business. The business was being sold by the adult children of the deceased owners and all they could tell me was that someone local made the hooks by hand, but it was many years ago. There’s not a size on the hook and no one seems to know who made it. I thought it was beautiful and purchased it!